Lavallée, Josiane. "Justine Lacoste-Beaubien". The Canadian Encyclopedia, 30 March 2017, Historica Canada. 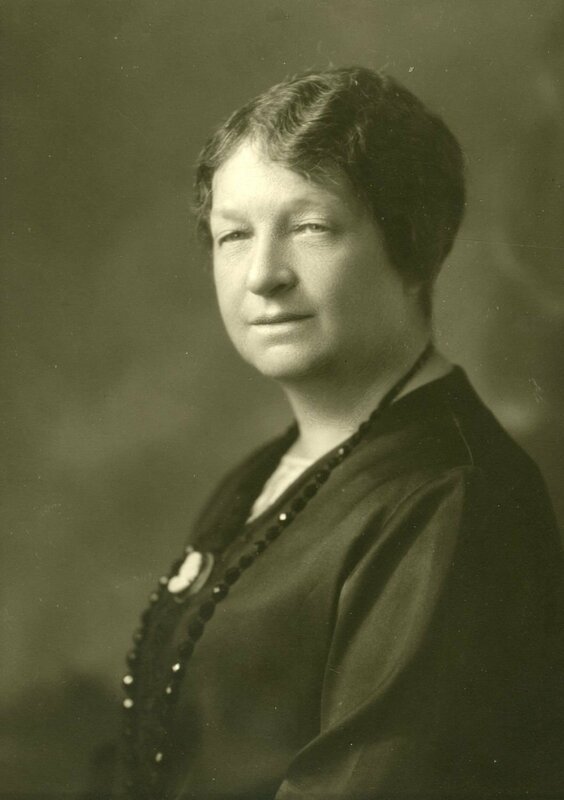 https://www.thecanadianencyclopedia.ca/en/article/justine-lacoste-beaubien. Accessed 21 April 2019. 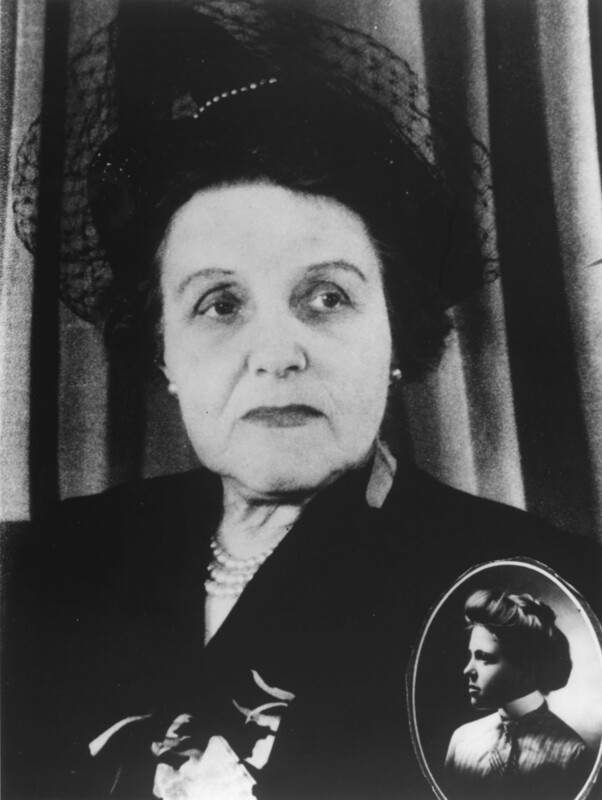 Justine Lacoste-Beaubien, C.B.E., founder and administrator of the Hôpital Sainte-Justine (born 1 October 1877 in Montréal, Québec; died 17 January 1967 in Montréal). A seasoned businesswoman, she chaired the board of directors of the Hôpital Sainte-Justine from 1907 to 1966 and made her dream come true by making the hospital a university research and study centre affiliated with the Université Laval in Montréal (now the Université de Montréal). From 1950 to 1957, she had a state-of-the-art hospital built for sick children on chemin de la Côte-Sainte-Catherine. 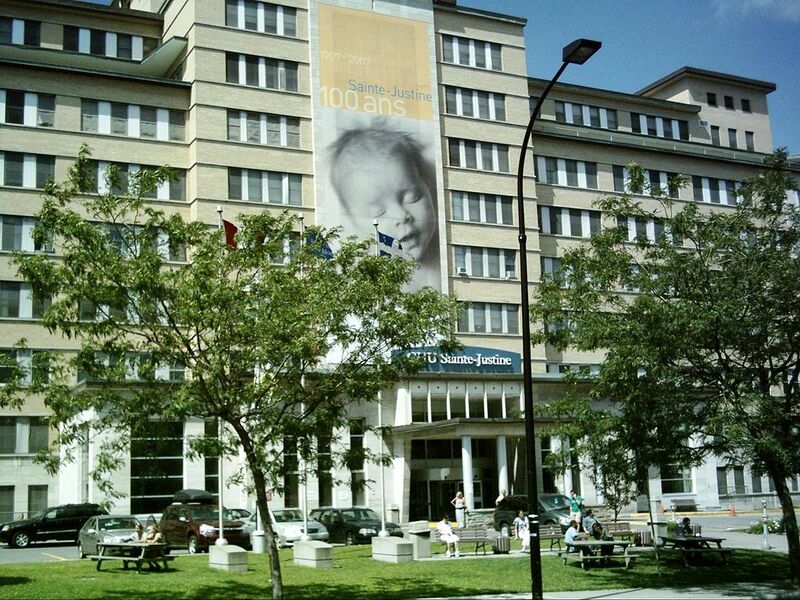 More than 100 years after it was established, the Centre hospitalier universitaire (university-affiliated hospital) (CHU) Sainte-Justine is the largest mother-child centre in the country and the only institution in Québec dedicated exclusively to pediatrics and obstetrics. 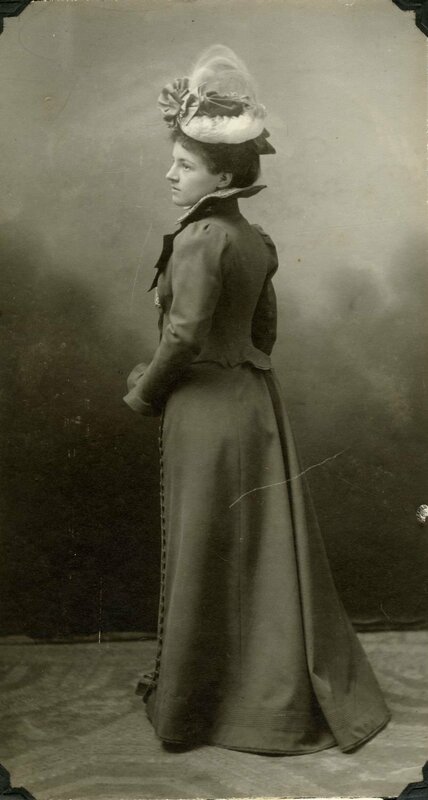 Thaïs Lacoste, daughter of Alexandre Lacoste and Marie-Louise Globensky (Bibliothèque et Archives nationales du Québec, P115, S1,SS2,D42,P4). Justine Lacoste was the sixth child of 13 in her family. 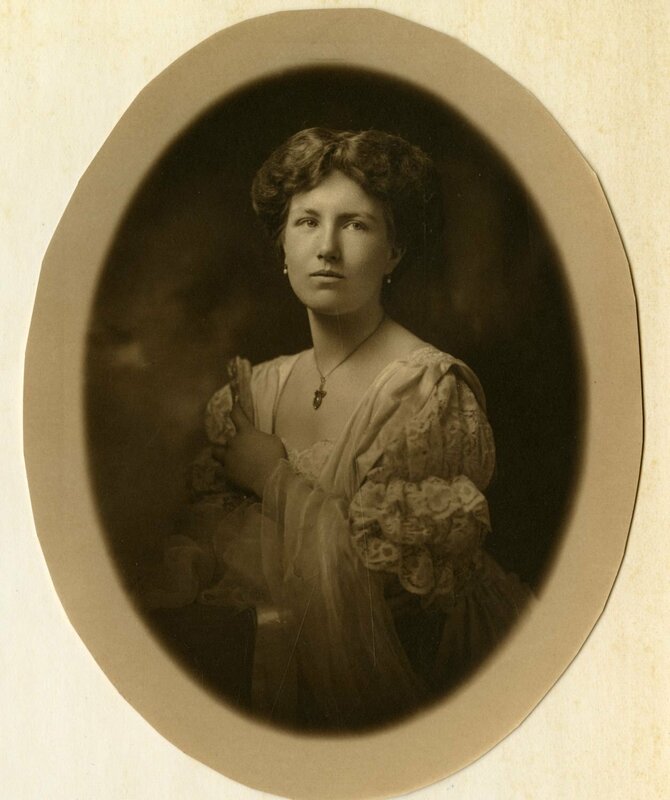 She was the daughter of Sir Alexandre Lacoste — a prominent lawyer whose career saw him in the roles of both a senator (1884-1891) and the Chief Justice of the province of Québec (1891-1907) — and of Marie-Louise Globensky, a renowned Montréal philanthropist. Her sisters, Marie Lacoste-Gérin-Lajoie and Thaïs Lacoste-Frémont, played a major role in the women’s rights movement. Lacoste-Beaubien was a mischievous, cheerful and resourceful child. She spent her early years at 71 rue Saint-Hubert in Montréal. Starting in 1884, she boarded at the Hochelaga Convent, run by the Sisters of the Holy Names of Jesus and Mary. In 1894, she was awarded a medal of achievement by the Lieutenant-Governor of Québec, Sir Joseph-Adolphe Chapleau. At the end of her studies, in 1895, Lacoste-Beaubien participated in charitable work alongside her mother. These good deeds included visiting the sick and dying at the Hôpital Notre-Dameand finding foster homes for orphans from the Miséricorde nursery. 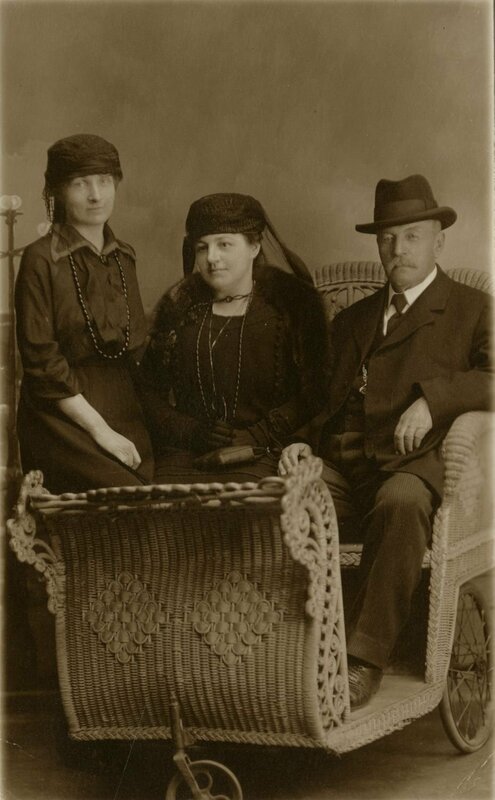 It was at this time that she met Louis de Gaspé Beaubien, whom she married on 25 October 1899 at the Notre-Dame-de-Lourdes chapel in Montréal. 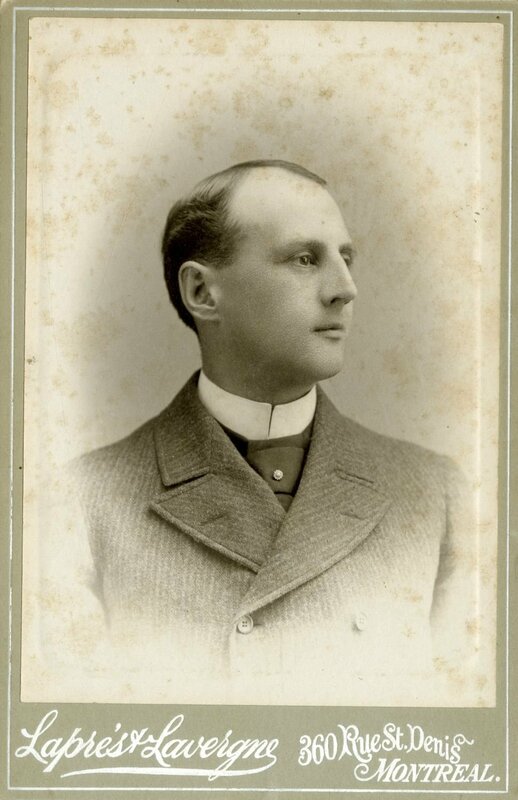 Louis de Gaspé Beaubien was a respected businessman who founded the brokerage firm Louis de Gaspé Beaubien et Cie Limitée in 1902 and became president of the Montreal Stock Exchange in 1932. During the early years of their marriage, the couple frequently travelled to the United States and Europe on business. Lacoste-Beaubien was unable to get pregnant and was very sad as a result, since she had dreamed of having a dozen children. When Dr. Irma Le Vasseur asked her in November 1907 to help found a children’s hospital in Montréal, she therefore accepted without hesitation. A short time later, at a founding meeting, Lacoste-Beaubien became chair of the board of directors of the new hospital, originally located at 644 rue Saint-Denis in Montréal. Le Vasseur during celebrations of her Golden Jubilee organized by the Cercle des femmes universitaires, 1950 (Archives de l'h\u00f4pital de l'Enfant-Jésus). 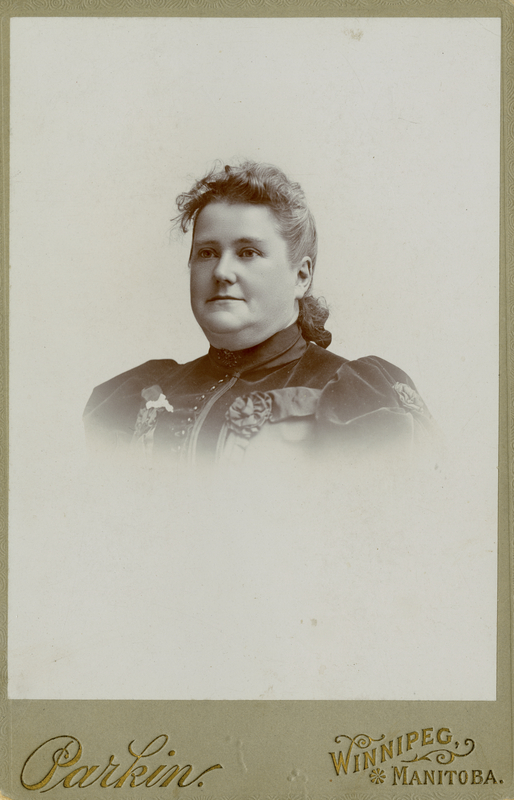 Inset: Irma Le Vasseur, circa 1900 (Biblioth\u00e8que et Archives nationales du Québec, P655,S2,SS6,D8). At that time, more than a quarter of all children in Montréal died before the age of one, on account of the poor quality of available milk and water and because of filthy living conditions in working-class homes (see Public Health). A hospital dedicated to children was essential in a large industrial city like Montréal, not only to care for sick children but also to educate their parents, particularly on how to sterilize milk. From the moment the hospital opened, Lacoste-Beaubien worked tirelessly with the six other women on the board of directors to find money as well as bedding, furniture and items of clothing to use in welcoming their first tiny patients. With these goals in mind, she set up various committees, composed of women volunteers, that operated for several decades. The very first patient at the hospital was a sick child Dr. Le Vasseur herself had been housing. 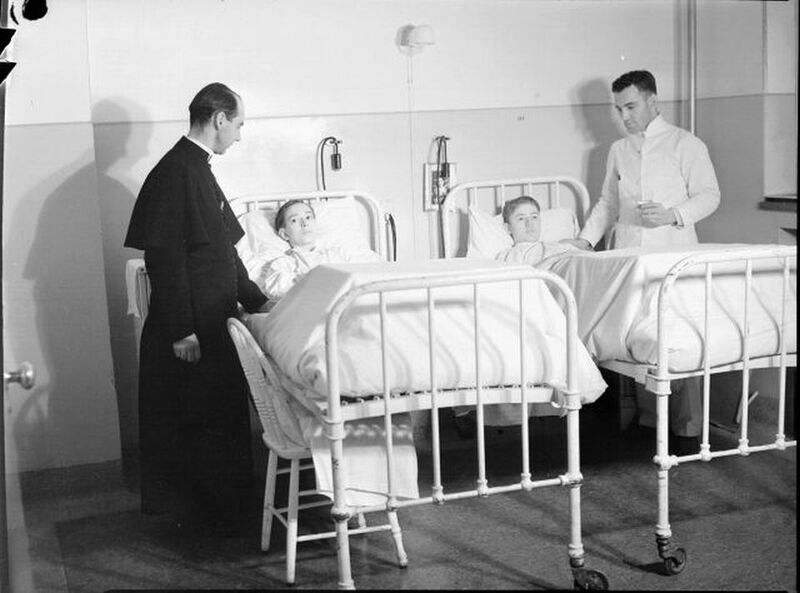 At the first board meetings, the directors decided to name the hospital “Sainte-Justine,” in honour of the early Christian martyr who is considered the patron saint of sick children. The goals and regulations of the hospital were clearly defined, and a medical office was set up under the direction of Dr. Joseph-Edmond Dubé, one of the founders of the Œuvre des gouttes de lait(an organization that encouraged mothers to breastfeed and supplied milk to those who could not). 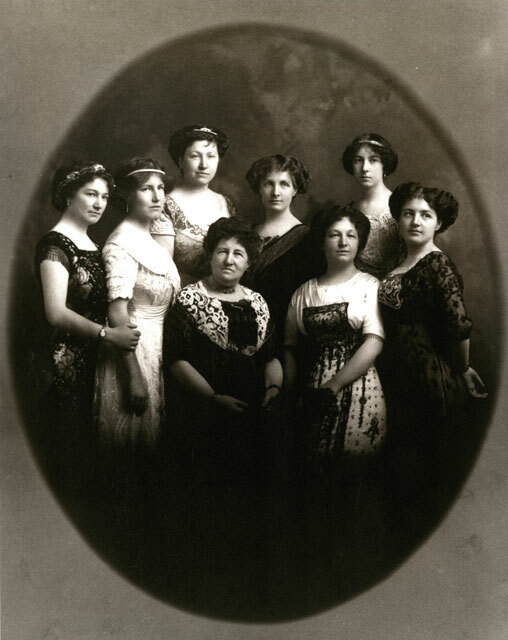 The women on the board, which was incorporated, oversaw the daily operations of the hospital. On 25 April 1908, a law was passed that allowed these women, rather than their husbands, to be responsible for running the hospital. Prior to 1964 and the adoption of Bill 16, which ended the legal incapacity of married women, a woman needed her husband’s consent in order to enter into a contract, be the executor of an estate or initiate a lawsuit (see Women and the Law). As early as spring 1908, Lacoste-Beaubien decided to move the hospital to a larger house, located at 820 avenue de Lorimier, which could hold 34 patients. By 1912, however, the space had once again become too cramped to accommodate patients’ needs, and Lacoste-Beaubien and the board decided to work toward building a new facility. After two years of appeals to and commitments with the public and the government, the new hospital was built at 1879 rue Saint-Denis. However, the construction of the two wings that would complete Lacoste-Beaubien’s project were delayed due to a lack of funds. In 1914, after the first wing was built, the facility could hold 80 patients and, after the second wing in 1923, it held 300 beds. Some forty years later, in 1956, just before moving to Côte-Sainte-Catherine, the hospital housed up to 500 patients. In addition to the volunteer work of the women on the board, Lacoste-Beaubien relied on the help of volunteer nurses and of registered public health nurses who had received all of their training from the hospital’s nursing school (see Nursing). 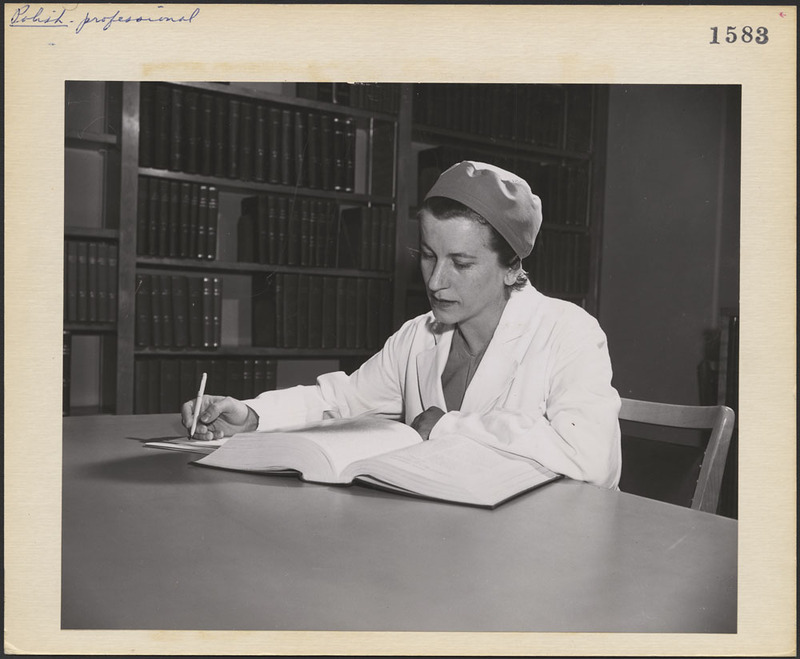 Throughout her career, Lacoste-Beaubien was committed to ensuring the best possible training for the nurses and doctors at the hospital, notably sending them on internships abroad to perfect their scientific and practical knowledge. Two children are lying on beds of the Sainte-Justine Hospital in Montreal. Two religious stand at their side, 1945. In 1910, Lacoste-Beaubien signed an agreement with the congregation of the Filles de la Sagesse(Daughters of Wisdom), who took over the internal management of the hospital. Although their relationship got off to a rocky start, as Lacoste-Beaubien had no intention of agreeing to all of the sisters’ management demands, she eventually grew accustomed to their presence. Over the years, Lacoste-Beaubien took advantage of trips to the United States and Europe with her husband to visit hospitals and health clinics. She also met doctors who specialized in children’s care, as well as developers and manufacturers of medical equipment. As a result, she acquired new medical devices that benefitted the hospital and its doctors. In addition to wanting to provide Sainte-Justine with more modern equipment, she hoped the hospital would become a university research and study centre affiliated with Université Laval in Montréal (now the Université de Montréal), so that medical school graduates could complete their studies in pediatrics. An agreement to this effect was signed by the two organizations on 30 November 1914. From that point on, the Faculty of Medicine developed new medical services at Sainte-Justine. As the years passed, Lacoste-Beaubien once again dreamed of a larger facility for her hospital and wished it could better meet the needs of sick children. It took more than 40 years for this dream to become a reality. In 1946, Lacoste-Beaubien bought a property on chemin de la Côte-Sainte-Catherine. In 1950, she donated $15,000 to the construction of a child psychiatry clinic, where she set up her office. After a number of appeals, the government of Québec provided the $3 million required to start building the hospital, which began on 29 November 1950. Seven years later, on 20 October 1957, Montrealers saw the hospitals’ patients relocated from rue Saint-Denis to the new Hôpital Sainte-Justine at 3175 chemin de la Côte-Sainte-Catherine. All in all, more than $10 million were invested in building the new facility; 40% came from individual donations and the rest came from the City of Montréal and the provincial and federal governments. 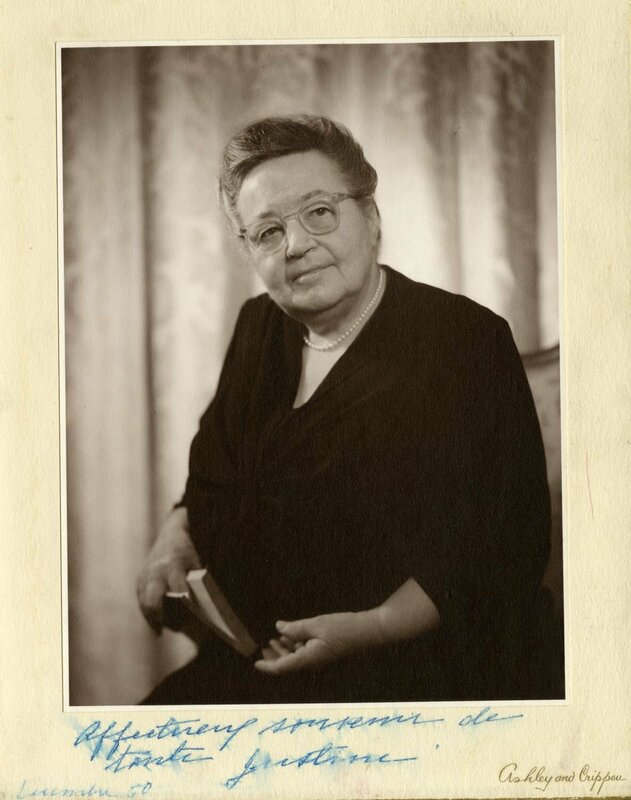 Dr. Halina Hoffman, originally from Grodno, Poland, carried out her studies at Louvain University in Belgium, and received her doctorate in 1954. She arrived in Canada the same year and joined the staff of Ste. Justine's Hospital in the anesthesia department. She married a Polish architect (Victor Zukoski) whom she met after coming to Canada, and they have two children. A few years later, Lacoste-Beaubien had to adapt to the new health insurance regime that came into effect on 1 January 1961. Gradually, she was required to transfer her administrative functions to the director general, a position that had become mandatory in all the hospitals in the province. Lacoste-Beaubien finally retired as chair of the board of directors on 18 May 1966. Less than a year later, on 17 January 1967, she died at home at the age of 89 years. In 1969, thanks to a large bequest made after her death, the Justine-Lacoste-Beaubien Foundation was created for the purpose of fostering medical research. Throughout her life, Lacoste-Beaubien was devoted to her family and to sick children. Thanks to her determination, tenacity and legendary sense of humour, she knew how to win over the public in Québec and the various levels of government so that the Hôpital Sainte-Justine could become a state-of-the-art health and research centre for sick children in Québec. More than 100 years after the hospital’s founding, Lacoste-Beaubien would no doubt be proud of the enduring nature of her life’s work.